Taxi Meter tampering is real and rampant in Kathmandu Valley. Passengers often get cheated and are forced to pay much more than the actual fare for their journey. Real-time taxi fare calculation using government declared rate. It does so by calculating the actual distance travelled using GPS capability of Android device. Pre-calculation of taxi fare. User can get this estimate by setting departure and destination points. Alternative route selection using 'via' points. 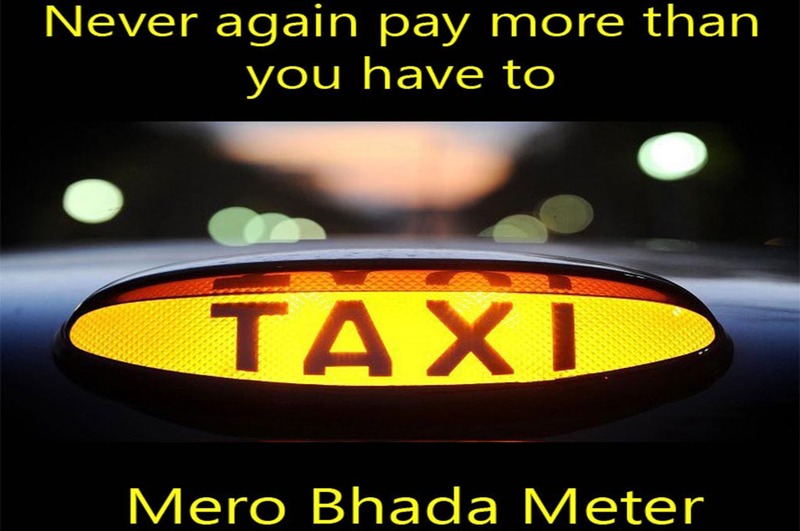 MERO BHADA METER has already rolled out. Please go ahead and download it from here. Never again, pay more than you have to. In addition to saving individual passengers from overpaying, it will help create a healthy competition among taxi operators. Moreover, it will contribute towards creating a more transparent and just society, and restoring Nepal's respect among tourists and visitors.